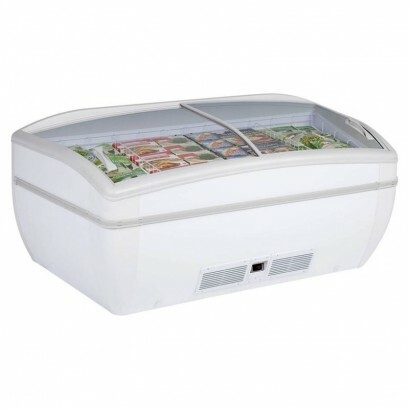 Island freezer displays are ideal for frozen food centres as they can have a sliding lid or open top access giving excellent display to large volumes of frozen food. 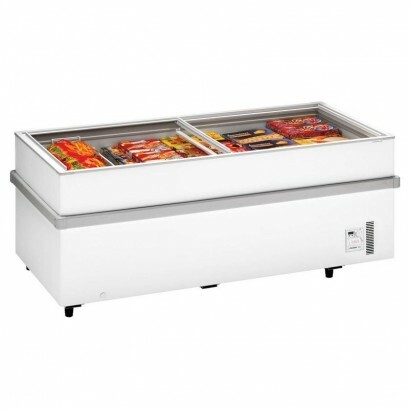 The island display freezer is ideal for large volume sales of frozen food. 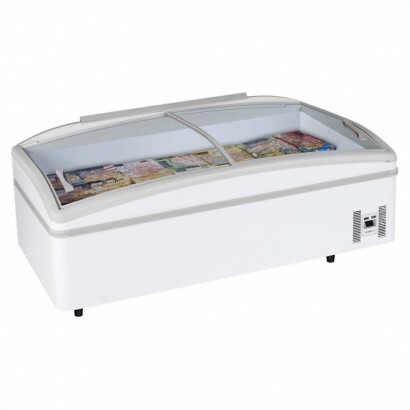 With large display areas these cabinets maximise the promotion and display of the products inside. 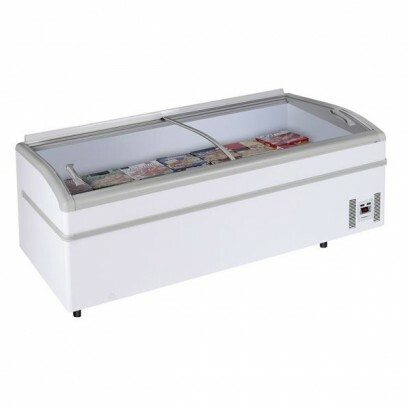 Island freezers are usually associated with the sale of ice cream, however these island display freezers can be used to display and sell a wide range of products including farm produce, ready meals, or even bags of ice. 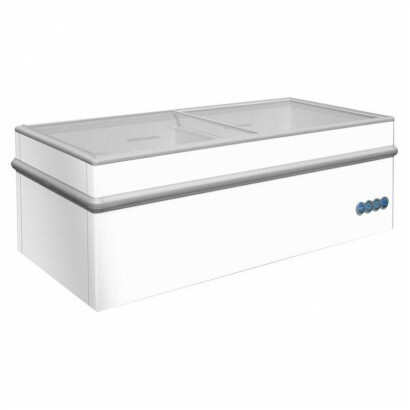 The Arcaboa CHV Island Display Freezer is available in three different sizes all with a fan cooled c.. 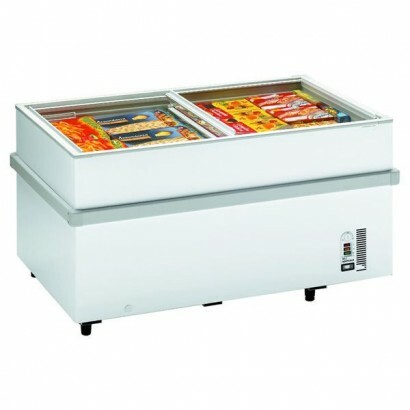 HUGE capacity display freezer available in three sizes. 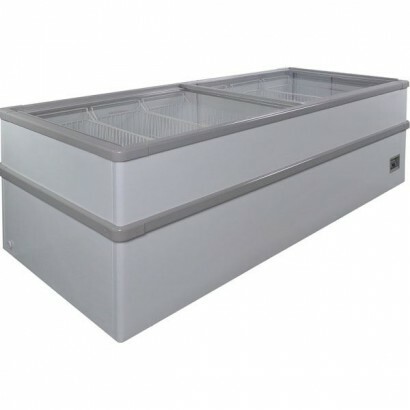 Each unit is mounted on castors and has a di.. 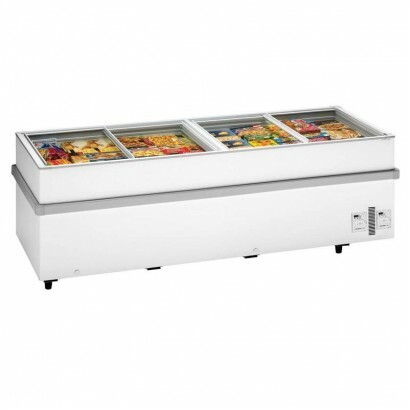 The Arcaboa CHV Island Display Freezer is a great unit with large product display alongside useful f.. 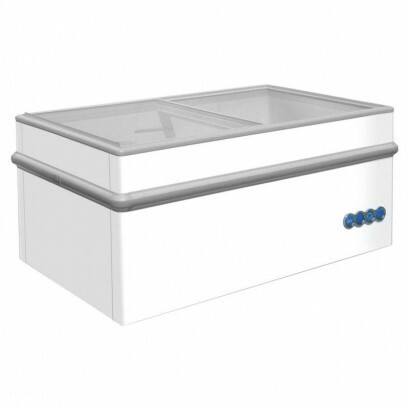 The Iarp IF range island display freezers each have a large sliding glass lid with temperature displ.. 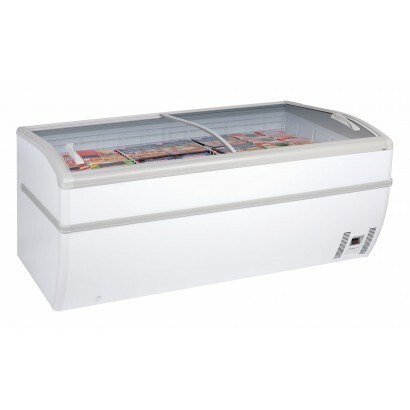 This display freezer, the Arcaboa Super 200 High Vision Chest Display Freezer, is a high capacity fr.. 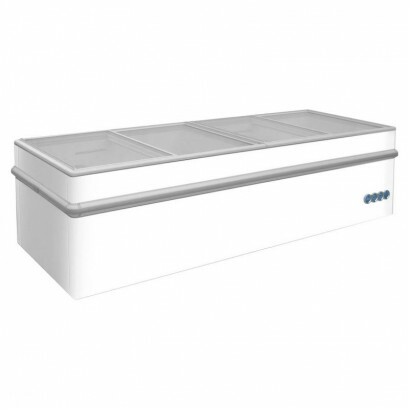 The Arcaboa Panoramica Range High Vision Freezer is a beautiful freezer that gives you plenty of sel..